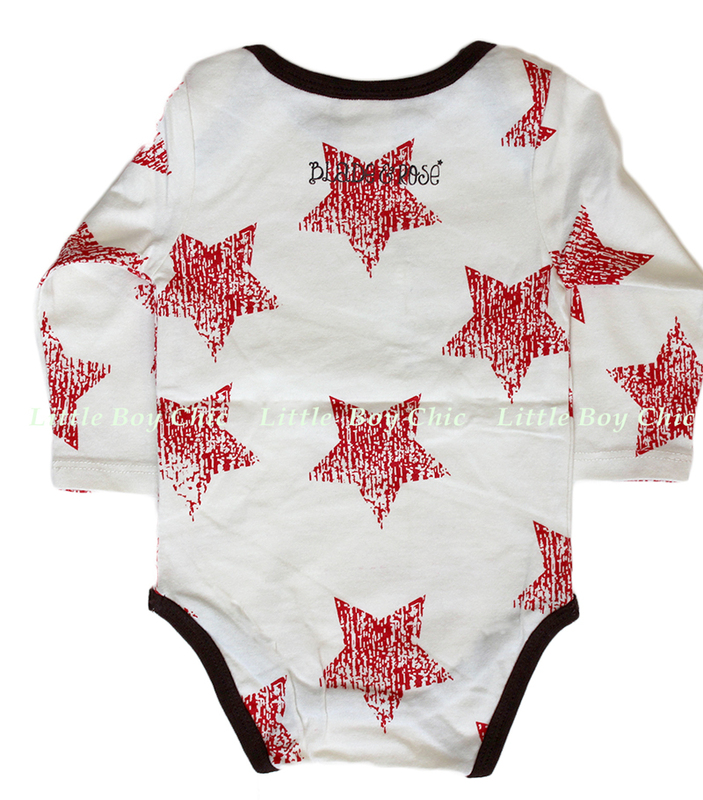 It's time to wish upon a star, and he'll have plenty to choose from in this bodysuit in a creamy color. Red distressed stars all over. Soft hand feel, and a little bit of spandex adds plenty of stretch and comfort. Snap button closure for ease during diaper changes. Contrast brown trim along the neckline and foot openings.